Admittedly, I’m not the best traveler. I can’t stand road trips. I hate flying. And nothing puts me on edge the way an airport security line does. How is it that I always get stuck behind Grandma and Grandpa Johansson who haven’t left their small town in twenty years. “Oh, we need to take our shoes off now?” Yes, now do it faster. I recently relocated from Atlanta to Boston—and blessedly took my job with me. While I’m enjoying all the perks of working from home full-time, I now find myself doing something I’ve never really done before—business travel. In the last quarter of 2017, I flew back to Atlanta three times in two short months. And Delta (my airline of choice) took notice. While I usually try to be at the airport at least two hours before my flight takes off, I like to savor every spare minute I have. Any benefit or perk that will help save me valuable time while traveling is much appreciated; after all, time is the new loyalty currency. Delta does an amazing job of improving the customer experience by offering benefits that put time back in your hands. 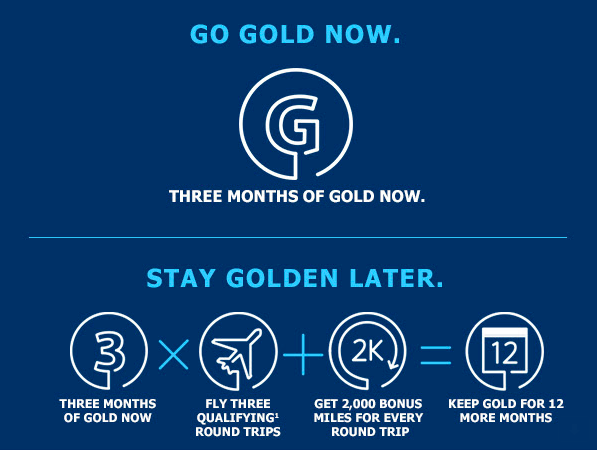 Delta Gold Medallion member perks like The Sky Priority line in security, early boarding, access to preferred seating, as well as upgrades that’ll find you seated towards the front of the plane, all serve one purpose: saving you time. Everybody loves to be special. And with Delta Gold Medallion status, you’re given a lot of special treatment. I wasn’t able to take advantage of all aspects of this status on this trip (Hello, Sky Club? See you next time), but I was able to get preferred seating. Usually, I’m stuck in the 20s. On this trip? Row 15, both ways. This insider access allowed me to get off the plane earlier, saving me valuable time. There’s a certain thrill in skipping a line. And on my trip, I skipped a lot of them. Boston’s security lines are always very short (when compared with other cities), but being able to jump to the front of the line helped shave valuable time off my wait. I was able to get breakfast and a snack for the plane. In Atlanta, taking the shortest line meant standing for 10 minutes, instead of the more typical 30. Not only did this allow me to get to the gate faster, it gave me time to snag a spot at the front of the Sky Priority boarding line. I was first in line (after First Class) and was able to get settled well before most of the plane. Business travel is not fun. It’s time away from your family, your friends, your life. That’s why Delta, and other airlines, reward those that travel the most. Making your time away as smooth as possible is their prerogative. Being recognized as a rising, and increasingly important, customer meant something to me. Delta recognized me not for who I am, but who I could be, as a customer. I’m not sure if I’ll be able to secure a full year of Gold Medallion status, but what I do know is this: Delta was looking out for me. They noticed a change in my behavior and had the insight and the foresight to recognize that I was becoming the kind of customer they value most. Loyal. They may not have known that I’ve been a loyal Delta customer since birth—thanks to my frequent flyer father and growing up in Atlanta—but they knew Delta was my first choice for business travel. And because of their service and their efforts to woo me, it will remain my first choice. It may be a few more years before I’m able to attain Delta Gold Medallion status on my own, but after this preview, I know that, for once, the wait will be worth it.